BIMPE X left Kelowna and arrived to Edmonton right before the holidays! 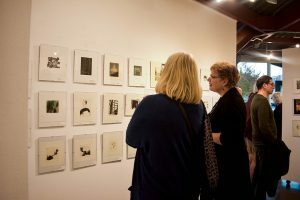 The mini-print show took a short break in December before its opening last Saturday, January 5th, 2019, at the Society of Northern Alberta Print-Artists. BIMPE X will be on view at their gallery until January 19, 2019. This is the last venue the traveling show will visit before returning to Vancouver. 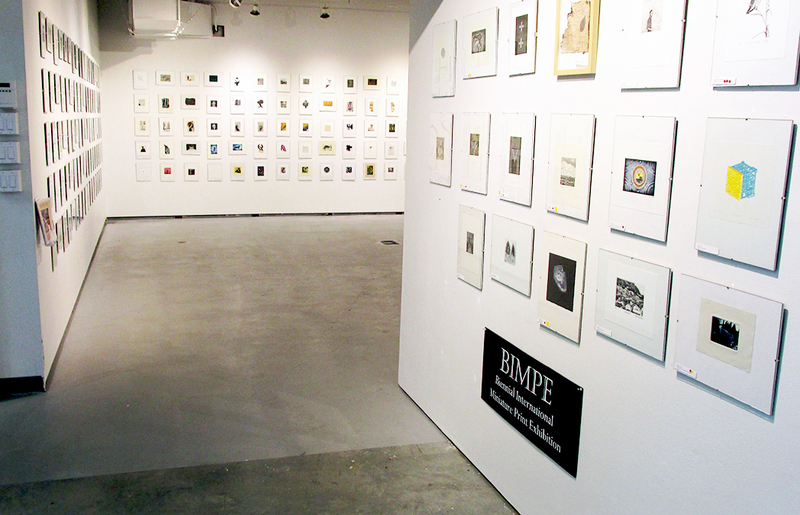 Last November, BIMPE X was on view at the Dundarave Print Workshop + Gallery on Granville Island. 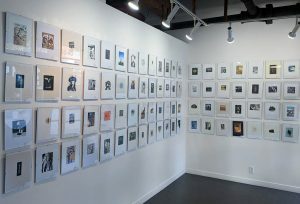 Thank you to all the volunteers who took turns in helping set up and maintain the mini print show at their gallery! 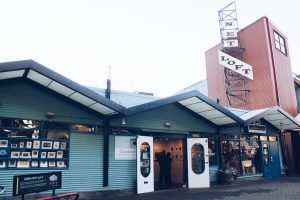 Dundarave Print Workshop + Gallery has been a long time supporter of BIMPE X and New Leaf Editions, and this year was no exception! 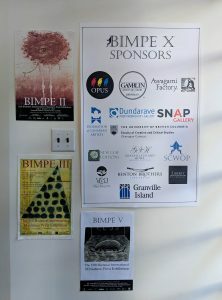 BIMPE X will then travel to UBC Okanagan Campus, where it will be up from November 5 to November 15. 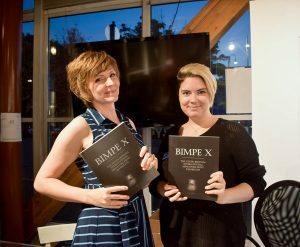 Last Friday was the Opening Reception for BIMPE X at the Federation Gallery! We had a great time, and even though Peter was feeling under the weather, he pulled through! Thanks to Peter for his dedication, without which BIMPE would not have happened for the last 20 years! Thank you to everyone who joined us to the party – it was great seeing everyone enjoying the prints and meeting some of the artists! We got to see 1st place winner Masaaki Sugita, Opus Prize winner Vanessa Hall-Patch, Honourable Mention Kalli Kalde, and Yolaine Labelle. A big thanks to everyone, staff, volunteers, and friends, who helped set up everything for the opening! We appreciate every bit of cooperation. 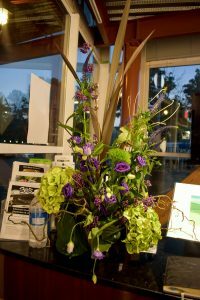 Thanks to Marsha for the lovely Ikebana arrangements displayed at the opening! 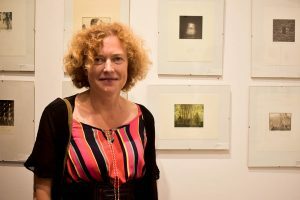 Thanks to the Federation Gallery for hosting the exhibition, and thanks to all the sponsors who supported the BIMPE X opening: V & J Plants, Liberty Wine Merchants, and Benton Fine Cheese. Take a look at our gallery for more photos of the Opening Reception! After overcoming many setbacks, BIMPE X is up and running! 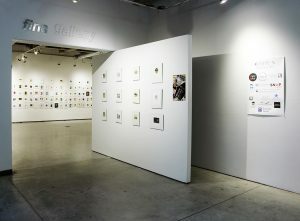 This week we installed the exhibition on the first Gallery it visits – Federation Gallery in Granville Island. The Exhibition is up as of September 25, although our official Opening party will be today, Friday, September 28th. 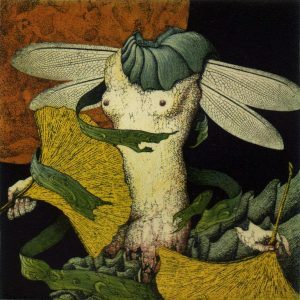 After that, BIMPE X will stay one more week at the Federation Gallery and then head off to Dundarave Print Workshop + Gallery. We’d like to thank all of you who helped us out with framing, setting up, hanging… and every single task necessary to make this opening happen! Shout out to Tomoyo, Lisa, Doug, Raine, Margot, and Emily! We hope to see you all tonight for our BIMPE party! Slowly but surely, BIMPE X is getting closer to its opening – exciting! We have just finished our BIMPE X Catalogue! 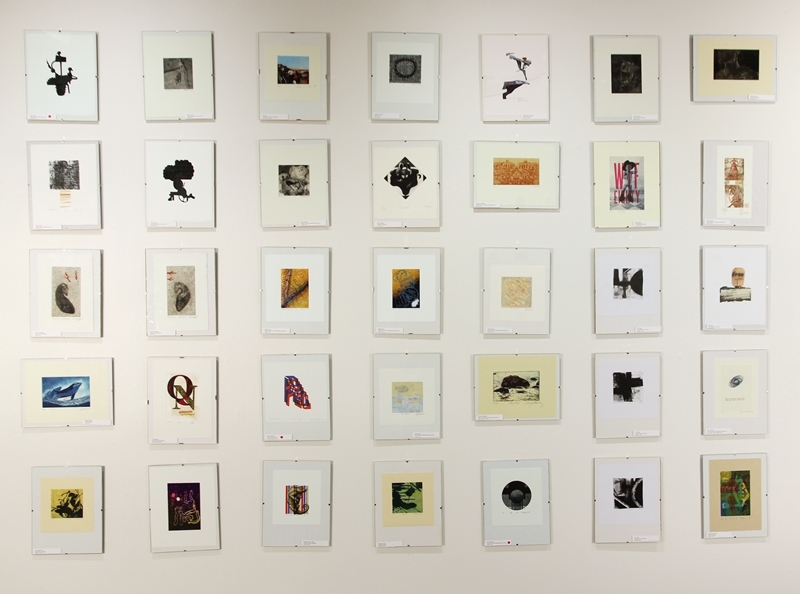 This will include all selected prints that will be on display at all the galleries to which BIMPE travels. 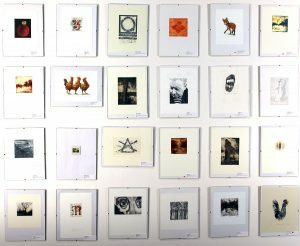 All accepted artists will receive their copy of the catalogue. Additionally, it will be up for sale at every different venue. 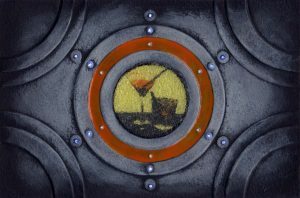 The opening reception will be held on September 28th, 2018 from 6:00 pm – 9:00 pm at the Federation Gallery on Granville Island. Join us for a night of nibbles, drinks, and PRINTS! As some of you may know, on June 27 someone broke into New Leaf Editions, the organizers of BIMPE. In turn, the burglar broke a pipe which caused a flood in the building. However, after these bumps in the road, BIMPE X is moving forward! At the moment, BIMPE X prints are in the process of framing and preparation for the show in September. We would like to express our gratitude and appreciation to all of those who participated in the tenth edition of the BIMPE show! BIMPE will once again open at the Federation Gallery in Vancouver, BC, on September 25, 2018. The opening party will take place on Friday, September 28, 2018. 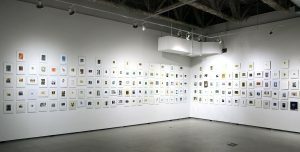 The exhibition will then stop along Granville Island, Kelowna and Edmonton, Alberta. Learn more about each venue on the menu above. Sit tight for the next updates! If you have any questions or comments, please email us at info@newleafeditions.com. 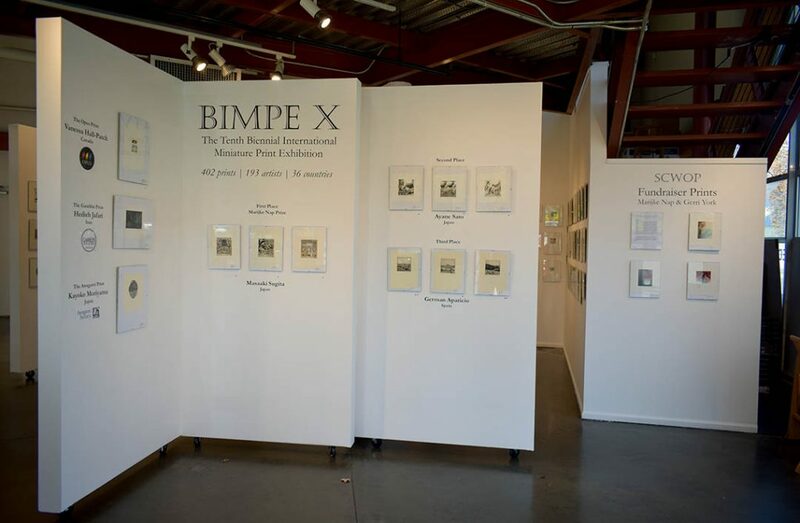 BIMPE is hosting an artist talk in celebration of our tenth anniversary exhibition! 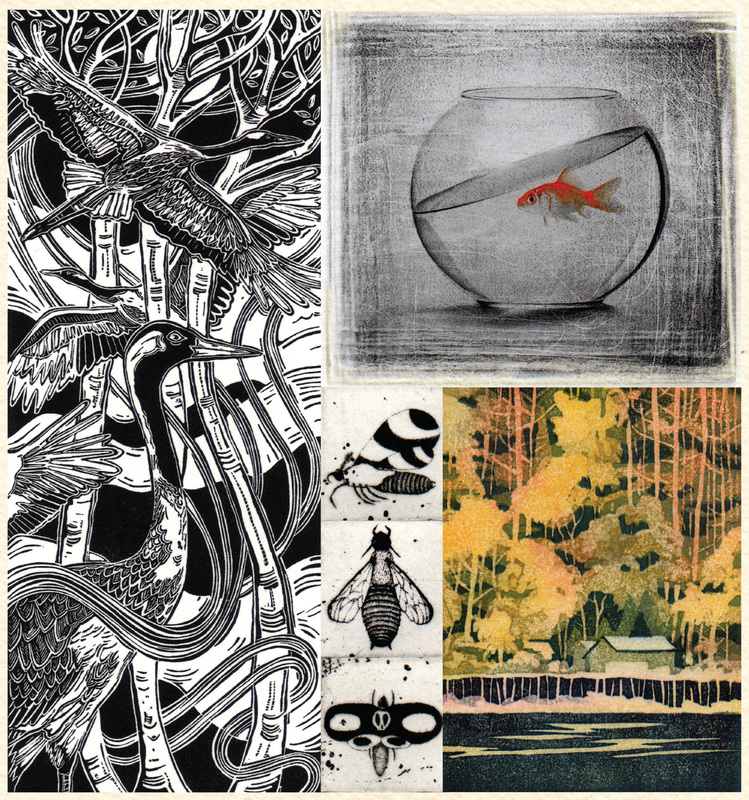 Our jury has agreed to share a bit about their work, artist practice, and print experience. Annalise Gratovich graduated with a BFA in Studio Art from UT Austin in 2013. She is the Associate Director of Flatbed Press and Gallery in Austin, Texas. 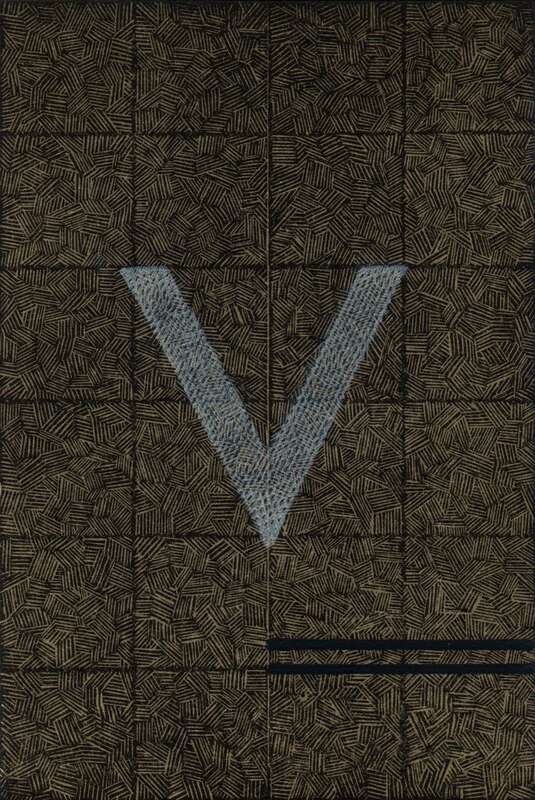 Briar Craig has an MVA (Printmaking) from the U of A. 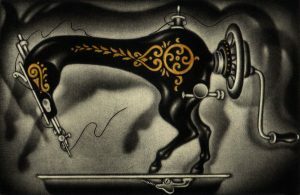 He is a professor of studio art at the Okanagan University College, Kelowna, British Columbia. 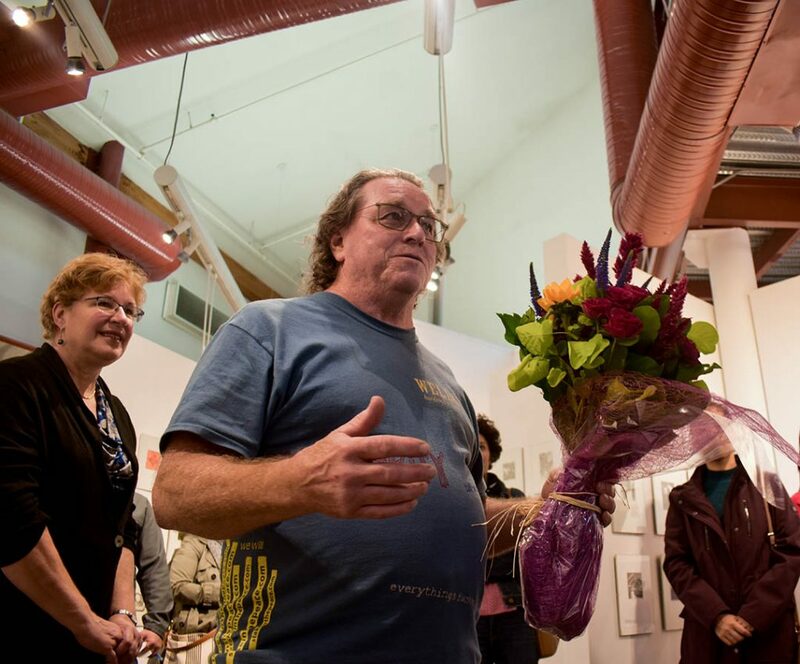 Michael Barnes received his MFA from the University of Iowa. 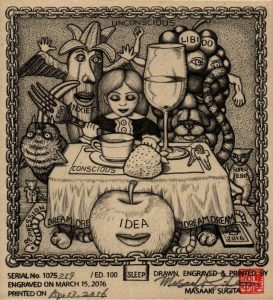 He is an Associate Professor of Art and is the Printmaking Area Head for the School of Art at Northern Illinois University, Dekalb, Illinois. This event is open to the public and does not require a ticket, a $5.00 donation will be encouraged at the door. 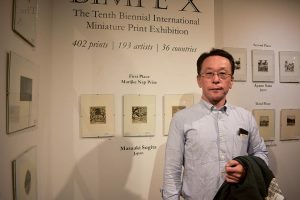 Our friends at Awagami Factory will be giving a paper prize to one BIMPE X applicant in support of contemporary printmaking. 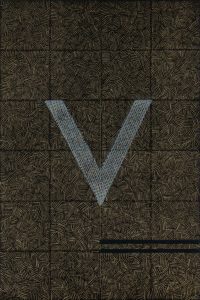 The award is 50 sheets of “Awagami Editioning” papers, (value at US $250.00) crafted exclusively at the Tokushima mill! BIMPE X Appications are closed. We hope to see you back for BIMPE XI. 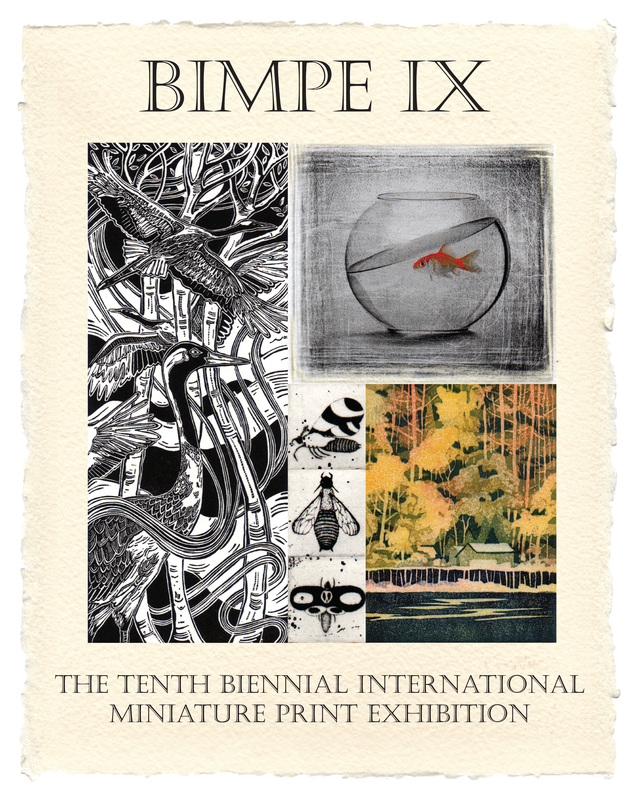 First, I want to congratulate you all on your incredible prints that made BIMPE IX a fantastic success. 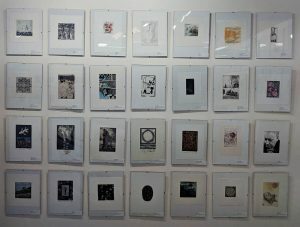 The exhibitions at the Federation Gallery (Vancouver), Dundarave Print Workshop and Gallery (Vancouver), UBC Okanagan Gallery (Kelowna), and SNAP (Edmonton) were very successful and garnered a lot of interest from both print enthusiasts and the general public. Many prints were sold to happy buyers! We at New Leaf are extremely pleased with how it all turned out and hope that you enjoyed being part of it. We recently received the prints back from the final showing at SNAP and will be starting the labor intensive process of going through all the prints, invoices and receipts so that we can return prints, make out checks, and send catalogues. We hope to be mailing everything to you all in March. It’s just the two of us here so we appreciate your patience. Thank you all so much for being part of BIMPE IX. 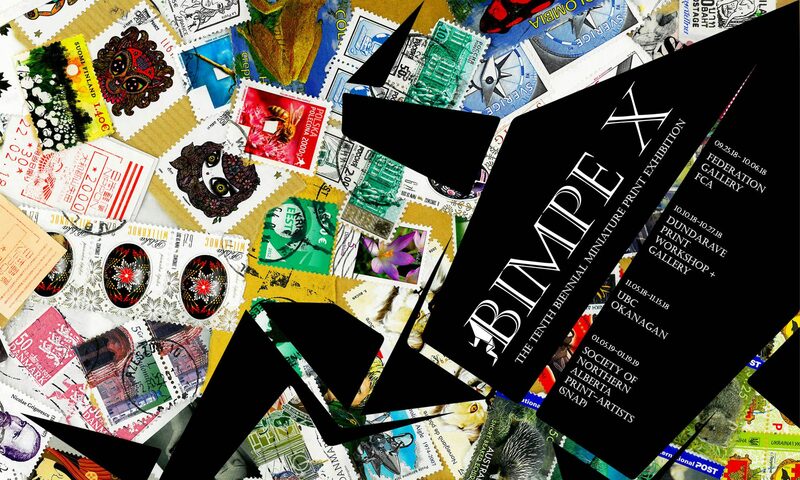 The final exhibition of BIMPE IX opens tomorrow at SNAP Gallery in Edmonton. Opening reception is on Saturday, January 7 from 2PM to 5PM. The show runs from January 7th to the 21st.